Hi guys! 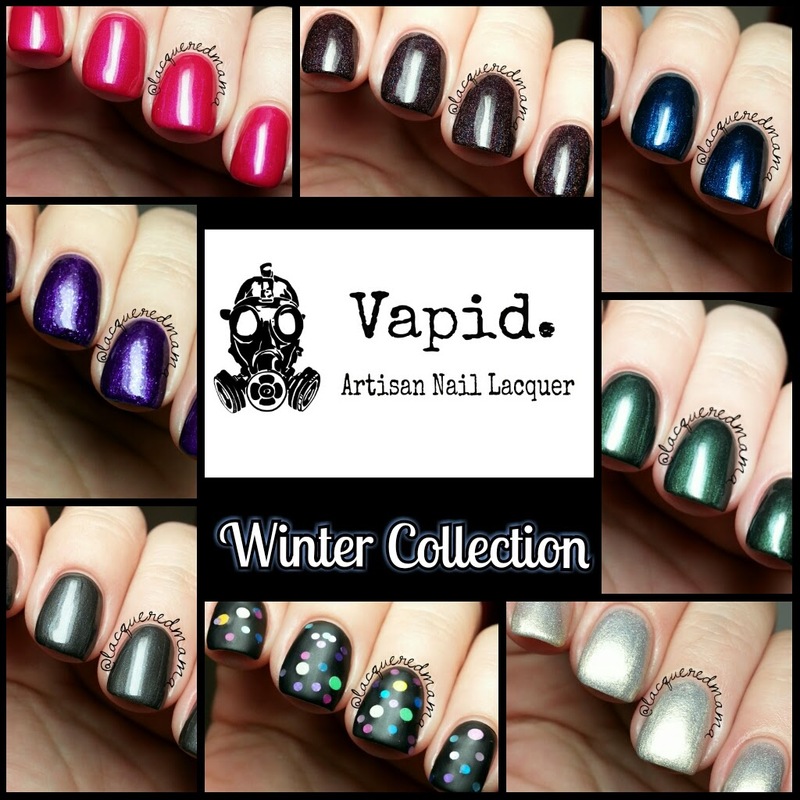 Today I have Vapid Lacquers Winter 2014 Collection and it is glorious! Lots of different colors and finishes! Available in her shop at noon CST on Cyber Monday! 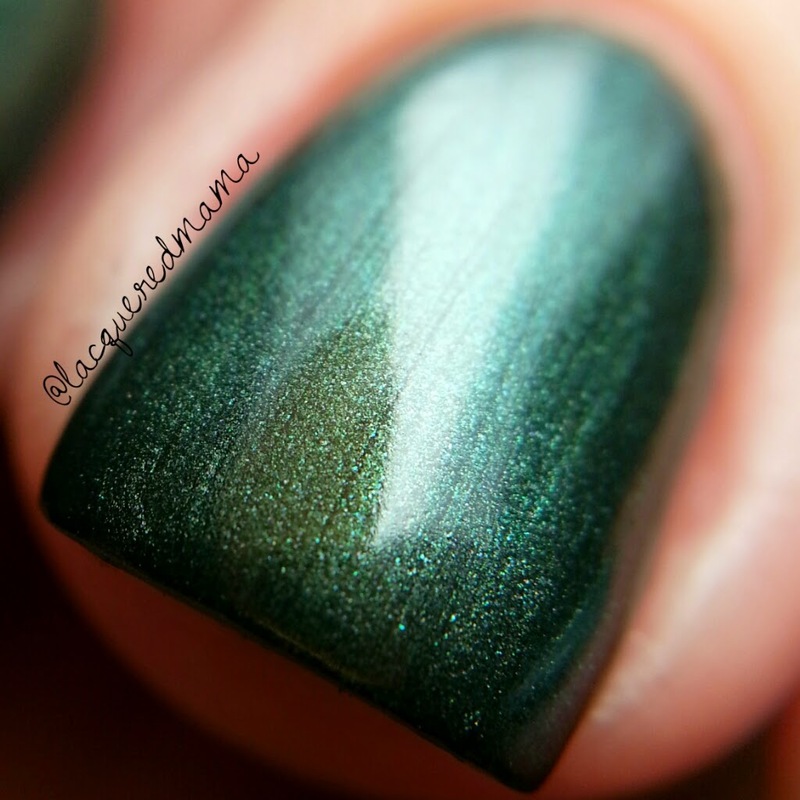 Gin Tastes Like Pine Trees is a gorgeous foresty green with a metallic finish and a pretty dusting of shimmer. 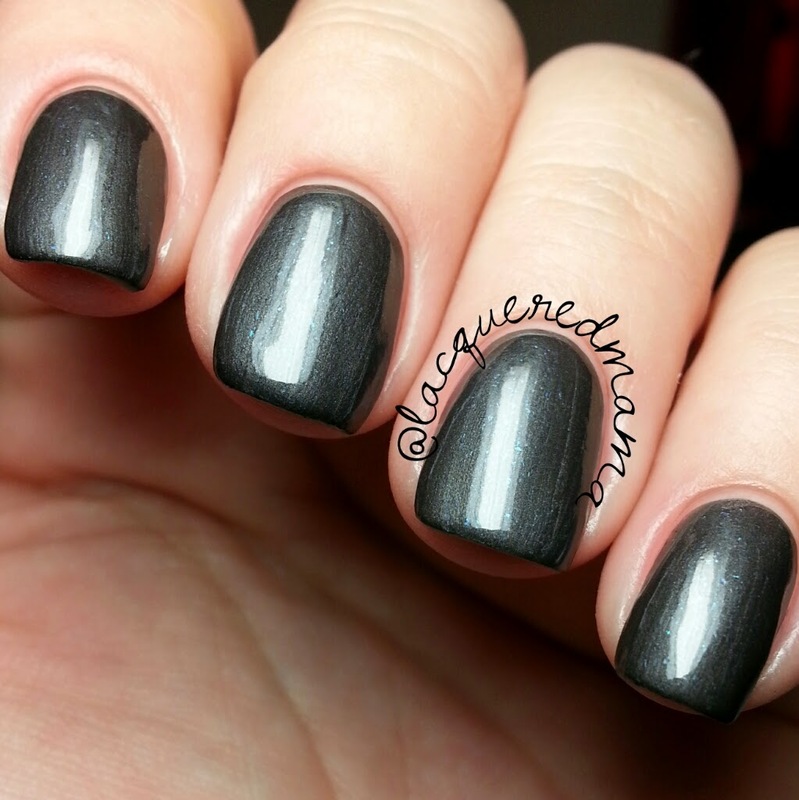 This apply like a dream and only takes one coat to be opaque! 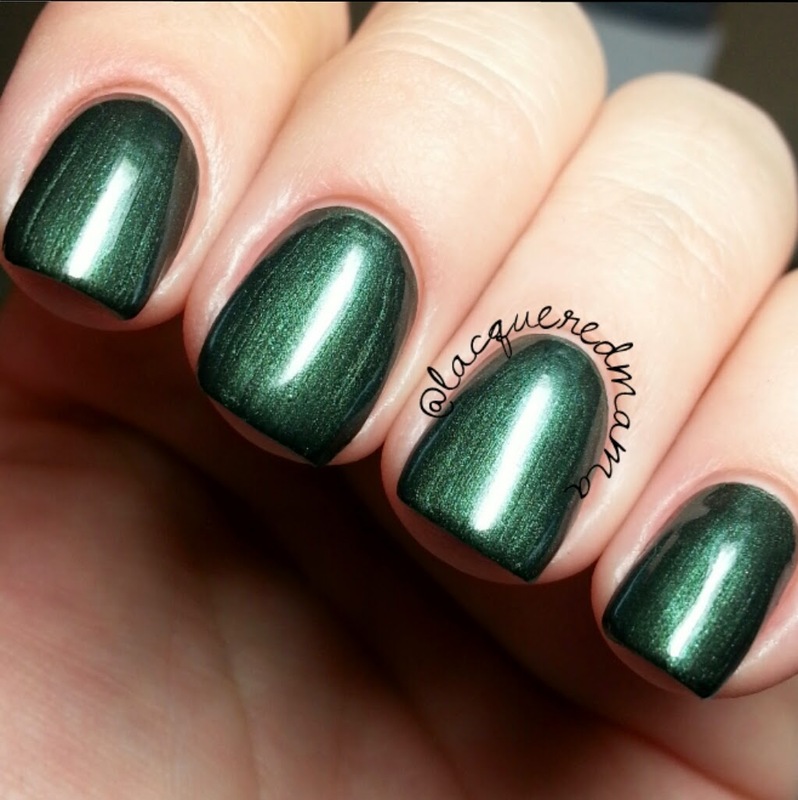 A perfect green for the holidays! 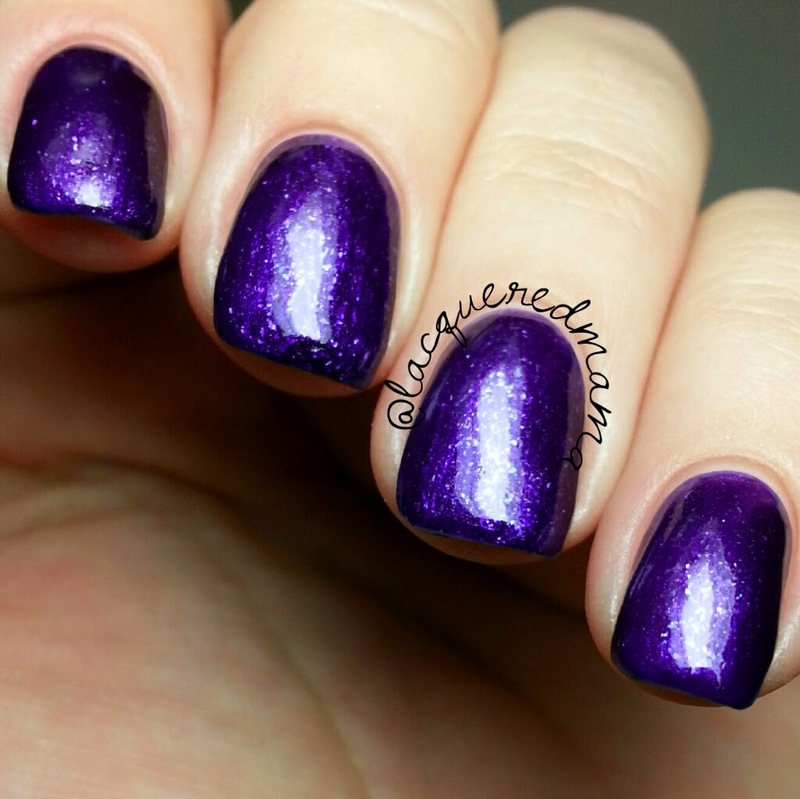 Violet <3's Snowflakes is a beautiful deep purple with a touch of violet & silvery shimmer and violet micro flakies. 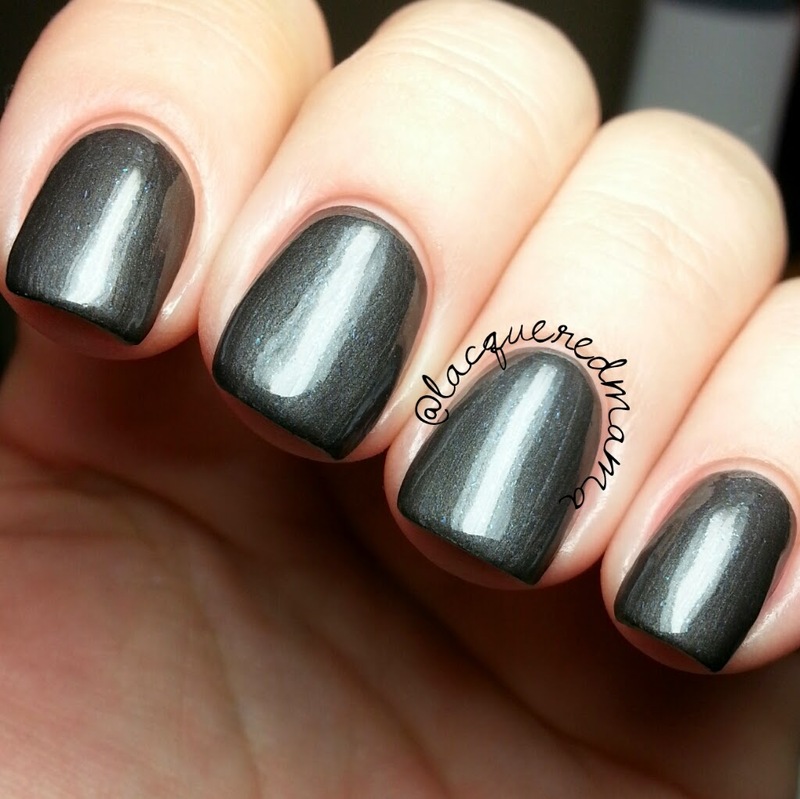 Depending on application, most people will only need one coat for it be opaque. 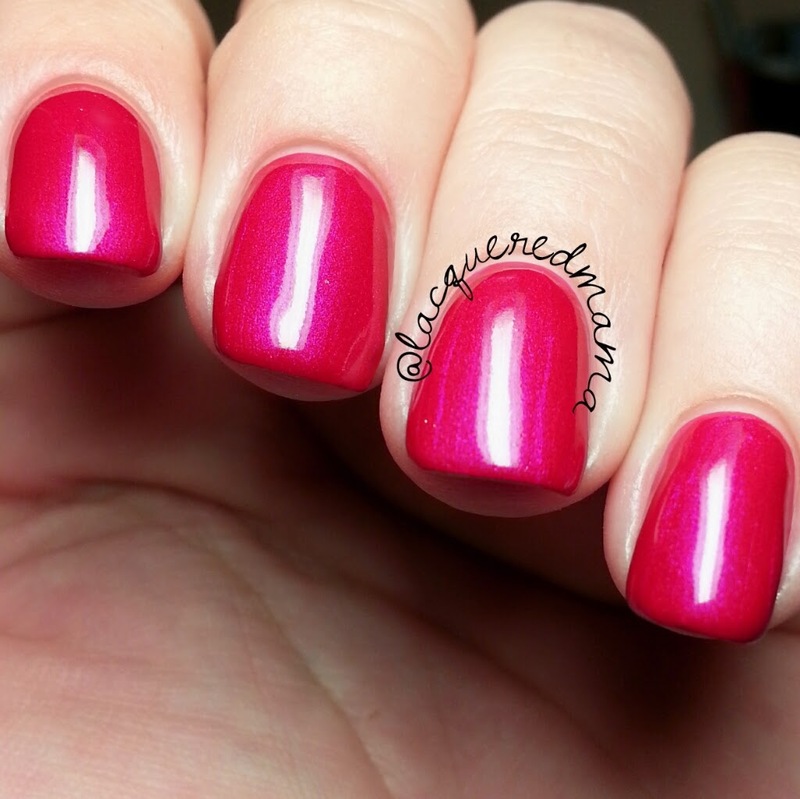 I loved the formula and also did just one coat plus topcoat. It photographed really blue, so I used photoshop to adjust the colors, hence why my skin looks a tad green..haha! Green skin and all..I love it! 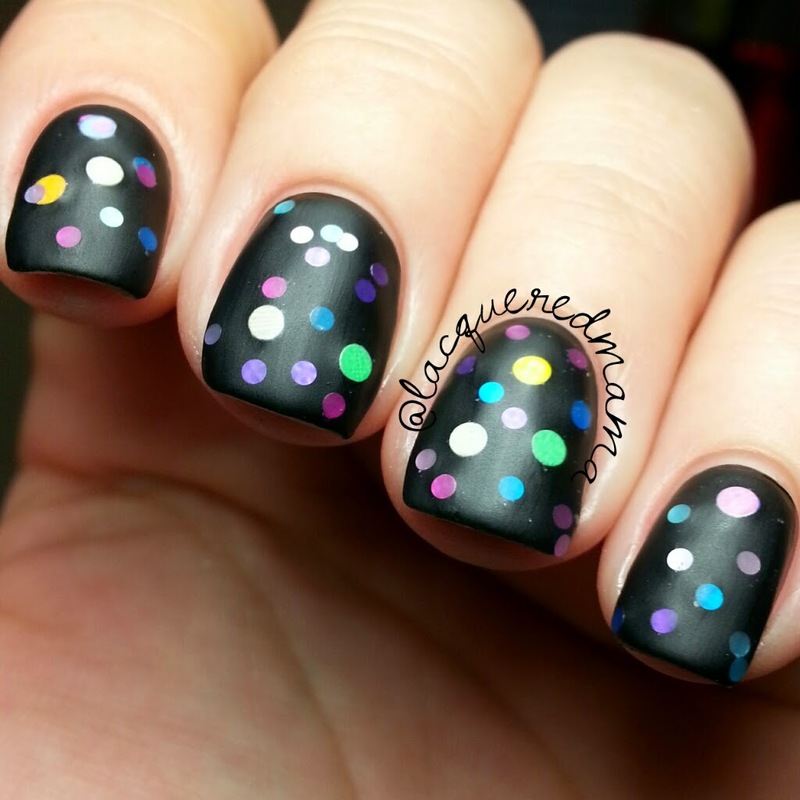 Mmm Flakies! 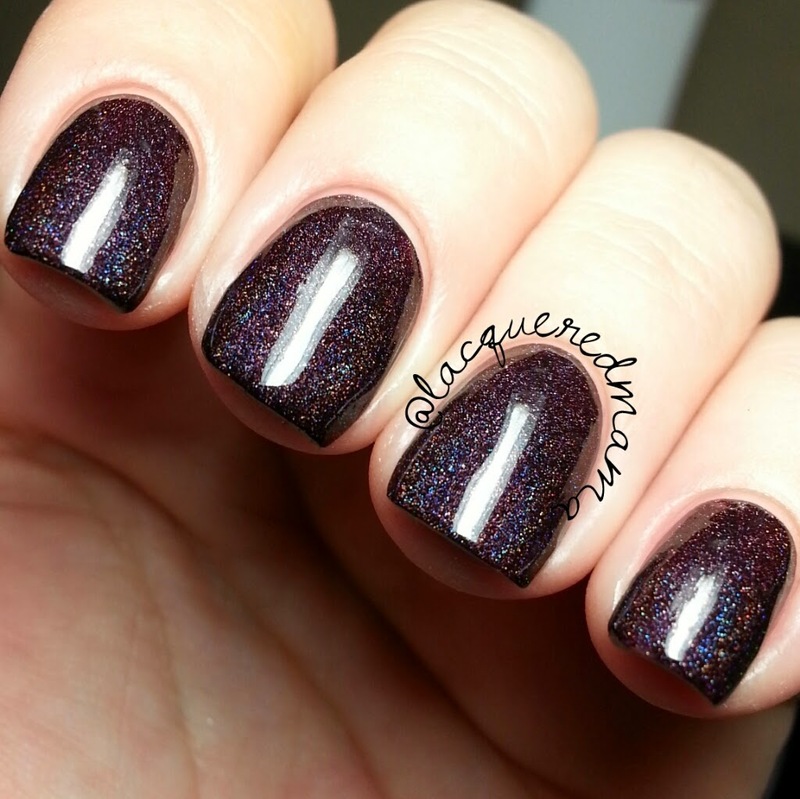 Dark Twisted Fantasies is an amazing deep, dark burgundy/cranberry with the most amazingly strong holo! 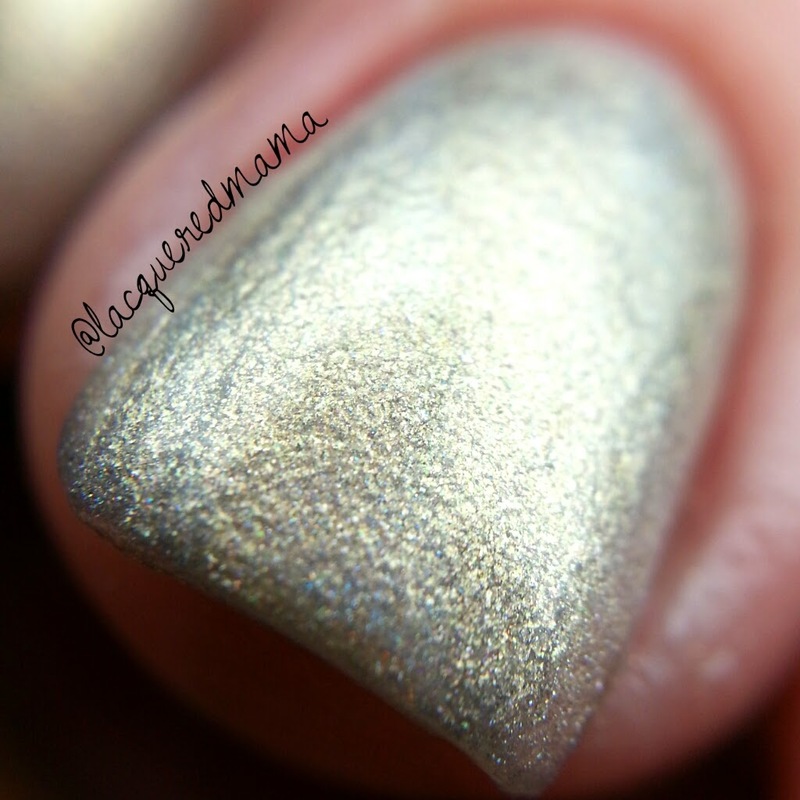 The holo is so apparent, that its pretty visible even in indoor lighting. When you step into the sun..watch out! Absolutely glorious! And again...one coater! 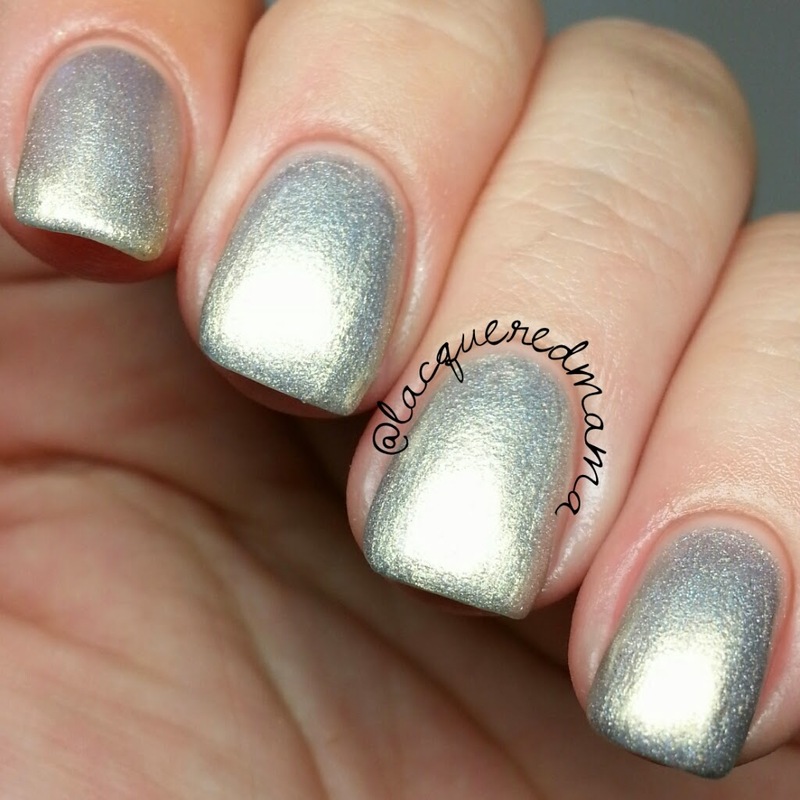 Gilver is a really lovely silver, with a gold shimmer and a touch of holo. Absolutely beautiful. Another winner in the formula department too! 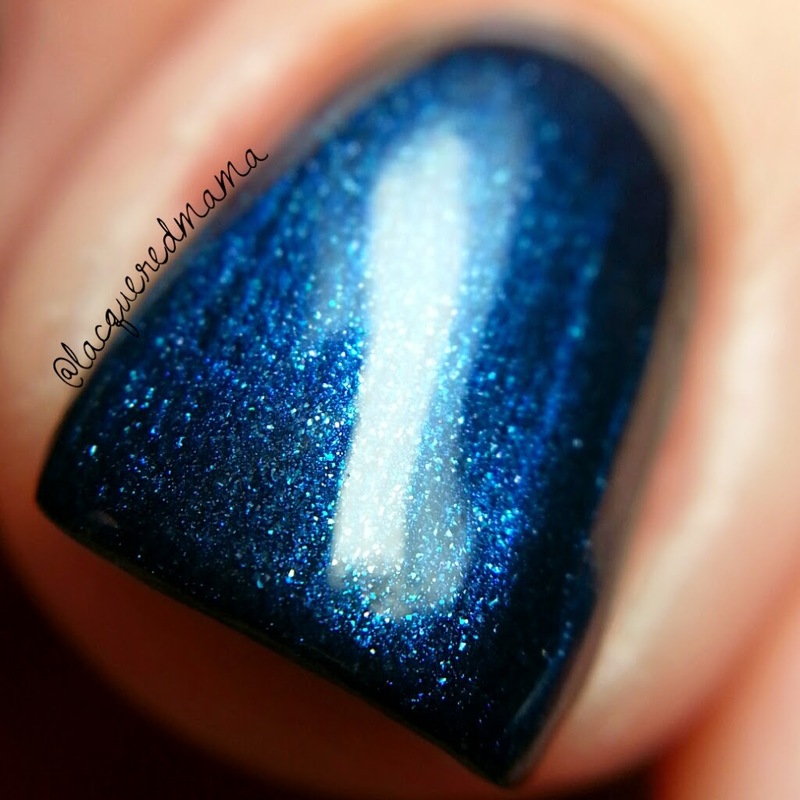 This one dries to more of a satin finish, which is beautiful on it's own, but adding topcoat really makes it shine! Again just one coat plus topcoat was all I needed! 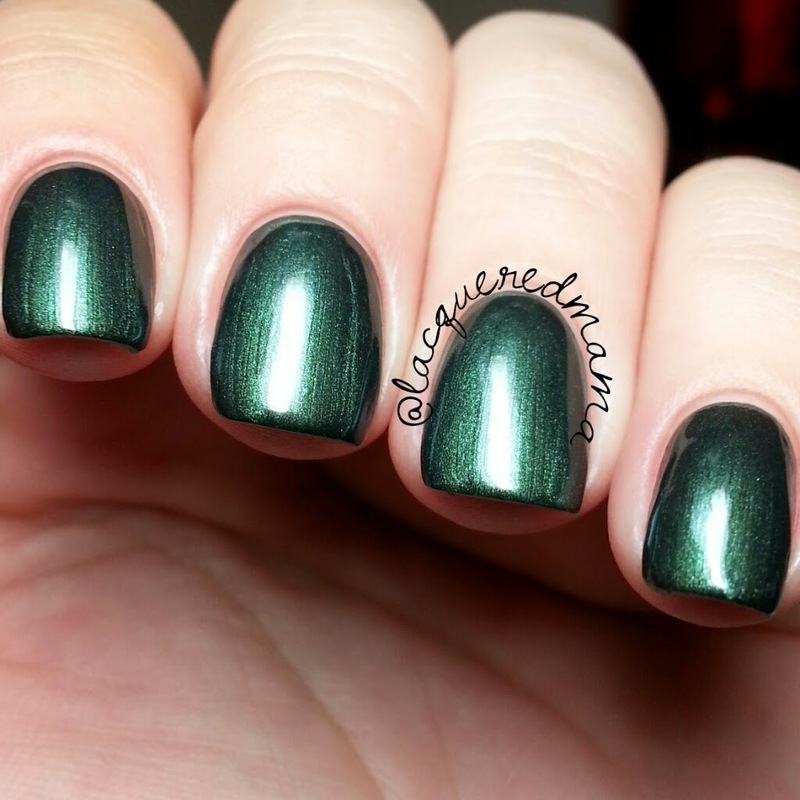 It also has the appearance of a textured polish in a way and I really love that! 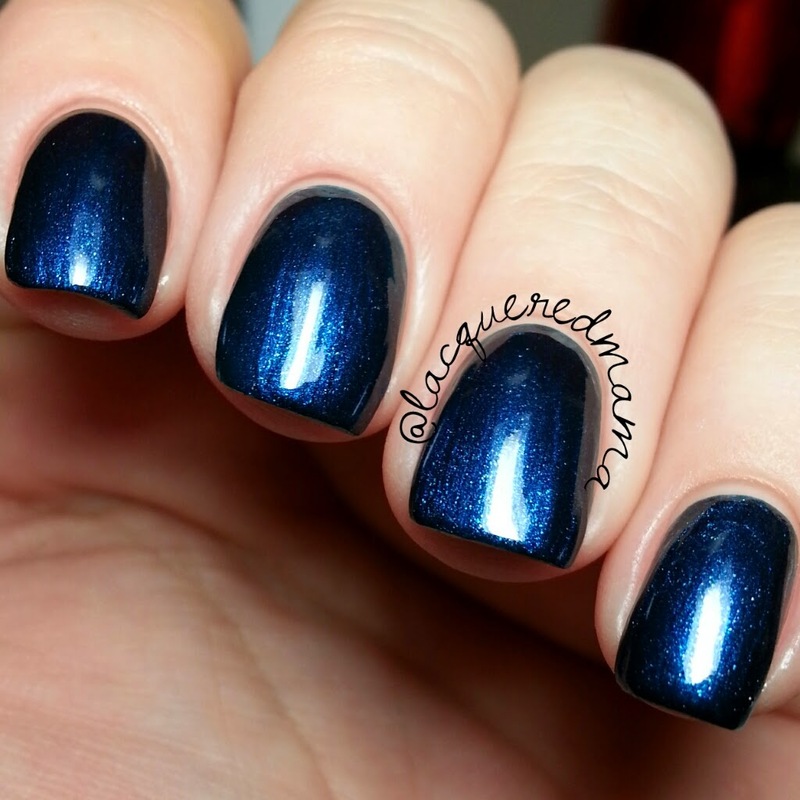 Cold & Dark is a gorgeous dark grey shimmery polish with absolutely beautiful icy blue iridescent micro flakies.They are hard to see in normal lighting, but they really shine in the sunlight and under a bright lamp. Again I did just one coat plus topcoat. 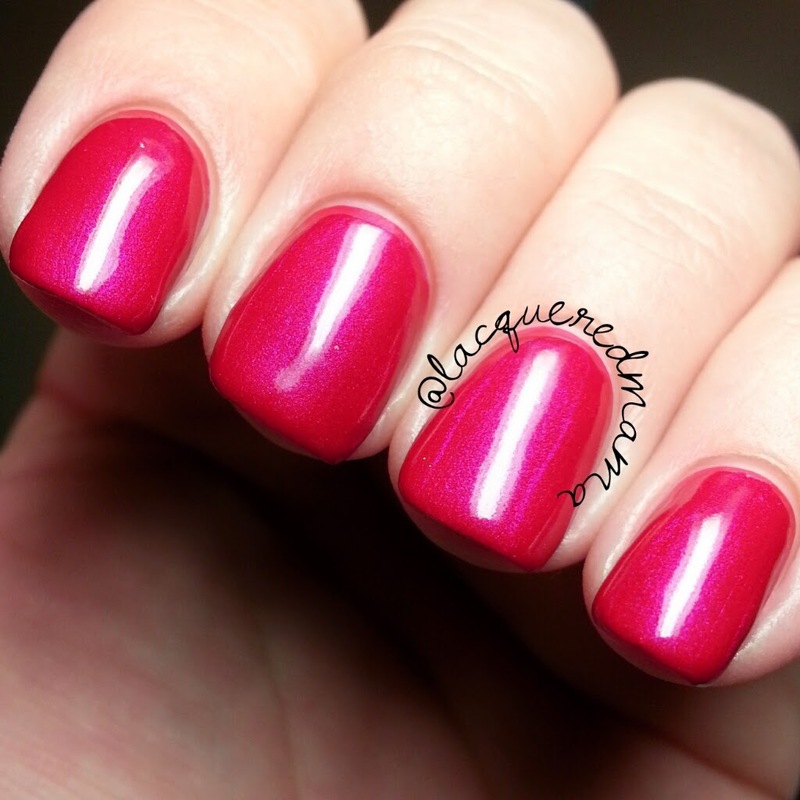 Scarlette is a beautiful ruby toned red base with a lovely bright pink shimmer! So pretty! And...oh ya..another one coater! 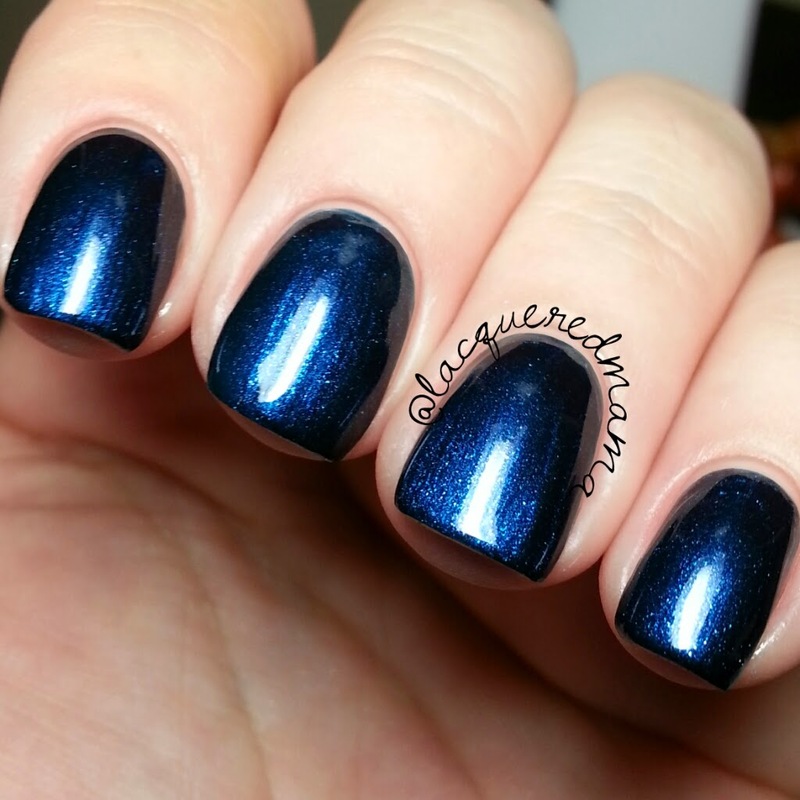 Winter Midnight is an awesome dark midnight blue with a white and lighter blue shimmer! It is gah-or-geous! 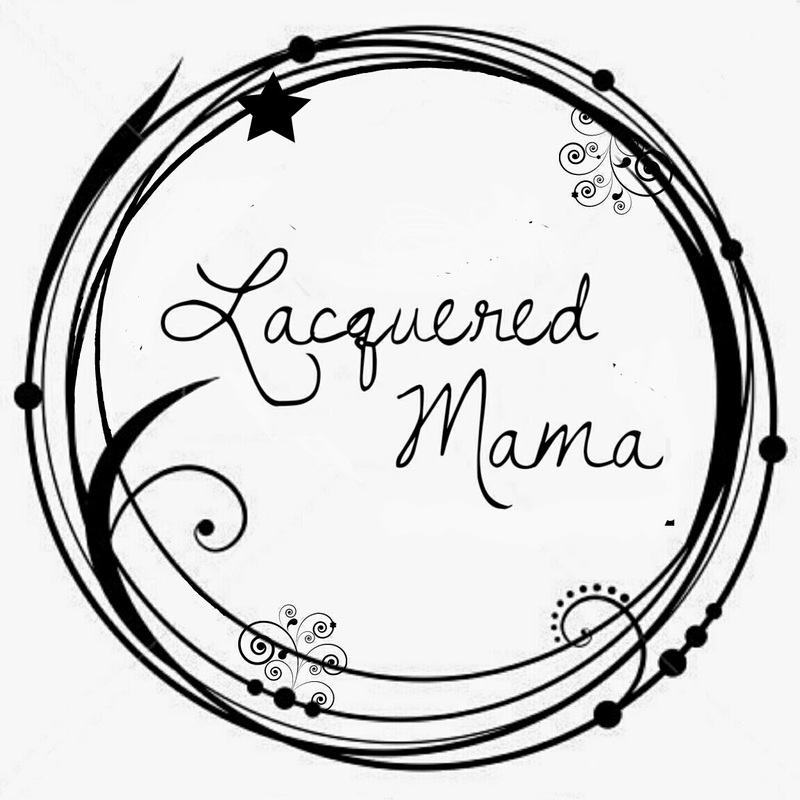 I feel like my photo did it some serious justice, in that it has a slight galaxy apperance all on its own! So much depth! And yet another freaking one coater! Gasp! 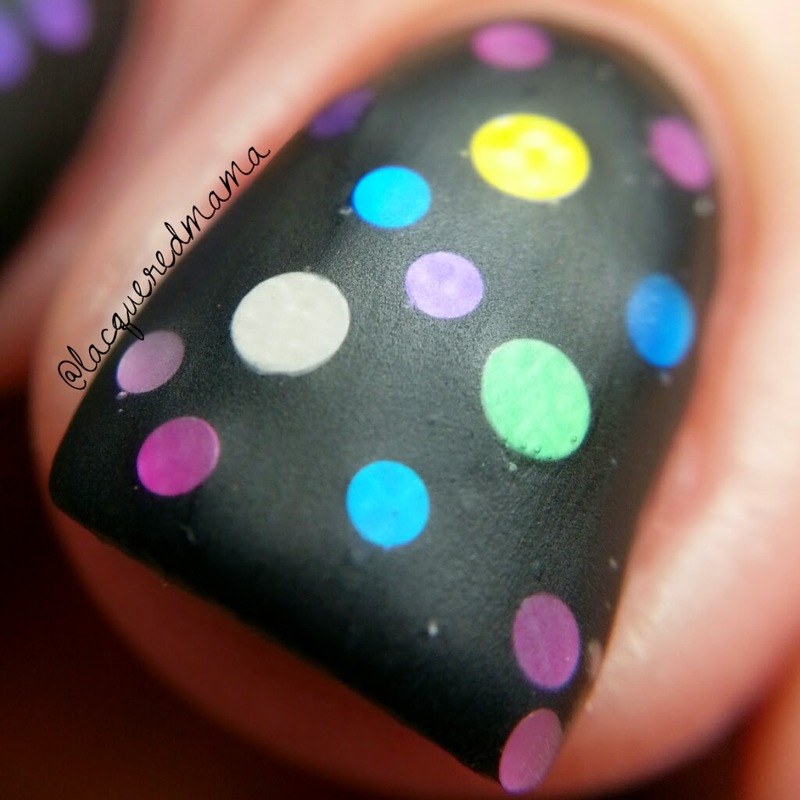 Seeing Spots is a spunky and colorful circle glitter topper in a clear base. Not your normal glitter for the winter, but I welcomed the colorful change of pace! 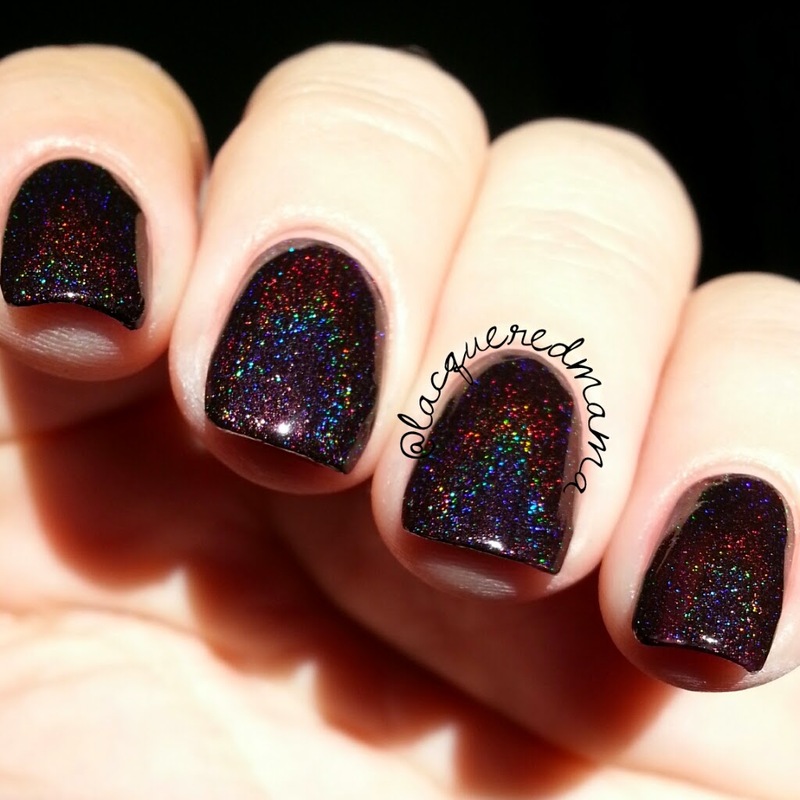 The glitter can be a bit difficult to get out, but if you place your bottle upside down for a few minutes prior to applying it, you should have no troubles. You can also simply apply some to a piece of paper and place the glitters as you like. 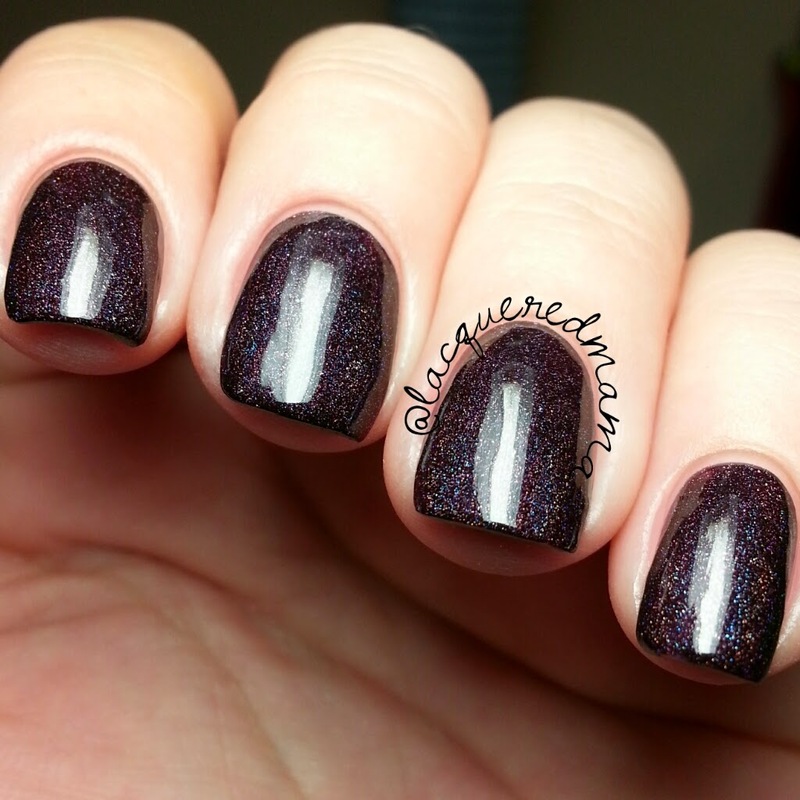 Here I did glitter placement over Vapid Lacquer's Pessimist and added a matte topcoat. 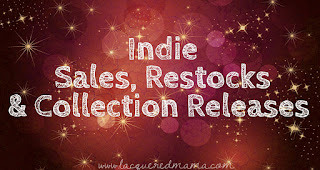 This was an incredibly beautiful winter collection! I loved the array of colors and finishes available. They were all really amazing! 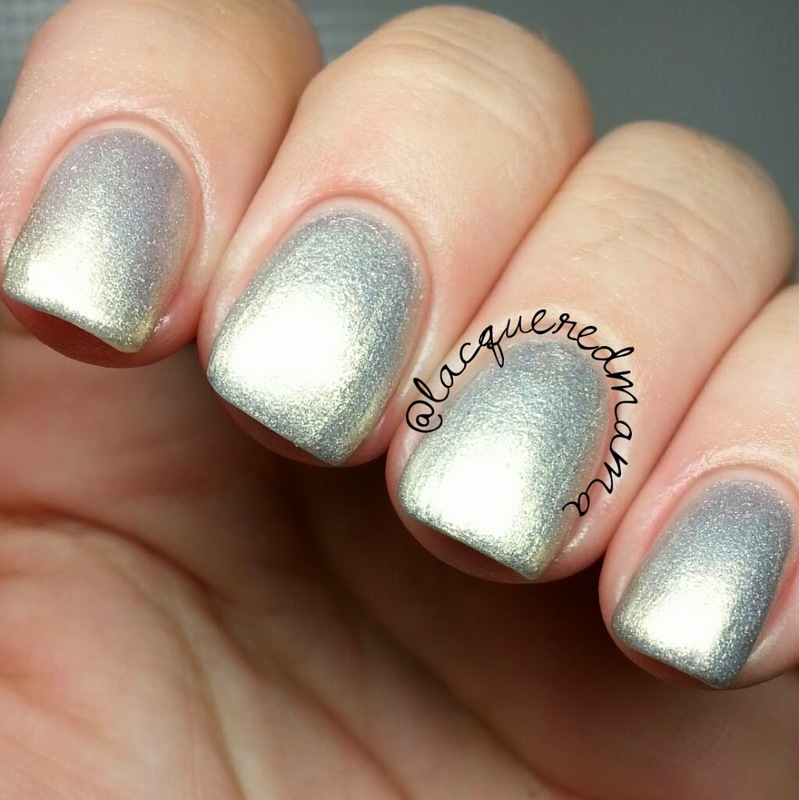 Fantastic formulas as always from Vapid Lacquer; ALL ONE COATERS! 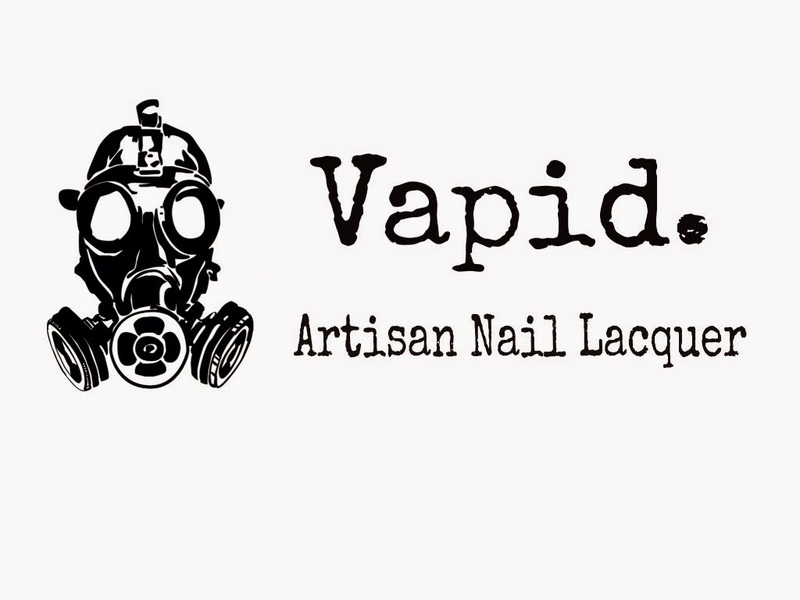 Be sure and follow Vapid Lacquer for release and stock updates, as well as details on upcoming collections! 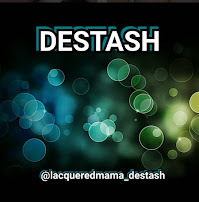 Links below! 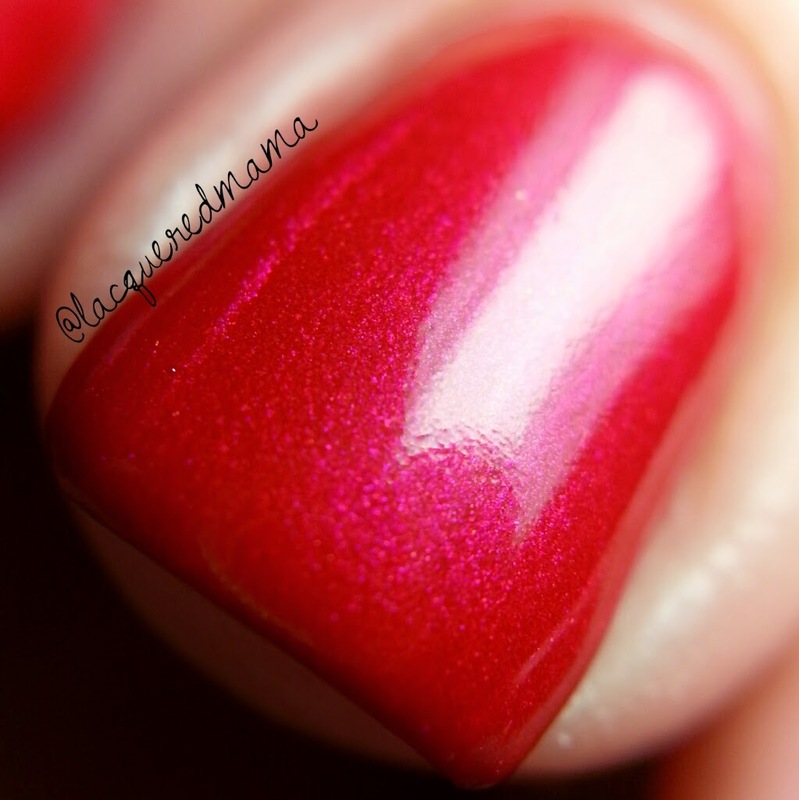 As always, you can search Vapid Lacquer within my blog to see previous reviews/swatches, as well as the newly released Holly Daze collection!